The Opening day of the Florida State Fair is Thursday, February 7th. There is still an opportunity to save by buying advanced admission tickets and armbands for the rides. 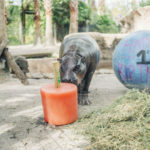 Advance tickets and ride armbands can be purchased at participating Publix locations starting on January 2 through February 6, 2019, and online at floridastatefair.com. Advance ticket prices are $9 for adult admission, $5 for a child and $7 for seniors. Weekday Ride Armbands are $20 and Any Day Ride Armbands are $30. Advance ticket sales for the $79 Mega Pass which provides unlimited admission and rides throughout the entirety of the Fair, and the Senior Five Day Pass, will only be available through www.FloridaStateFair.com or at the Box Office. These are not the only ways to say. In fact, there are discount admission days occurring throughout the 12-day run of the Florida State Fair. On opening day there will be free admission for members of the military, emergency responders (police, fire, and first responders) and three guests with their official ID. On Friday, February 8th Hillsborough County School students will get free admission with the tickets that were distributed to their schools. 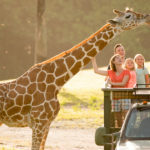 On February 12th there will be $2 Tuesday and you can get admission for just $2 after 2 p.m. Seniors will get a discounted admission on February 11th through February 15th. 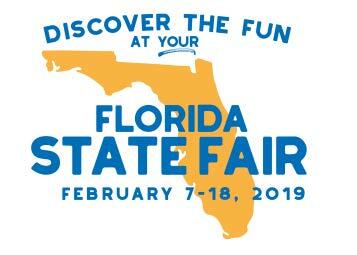 On February 15th everyone will be able to receive $5 admission to the Florida State Fair after 5:00 p.m.
On the last day of the Fair, February 18 Polk, Pinellas, Pasco, Sarasota, Hardee, Citrus, Highlands and Manatee students get free admission. Those that donate 2 non-perishable food items from Publix get $5.00 admission.